The interplay between synchronization and spatio-temporal pattern formation is central for a broad variety of phenomena in nature, such as the coordinated contraction of heart tissue, associative memory and learning in neural networks, and pathological synchronization during Parkinson disease or epilepsy. In this thesis, three open puzzles of fundametal research in Nonlinear Dynamics are tackled: How does spatial confinement affect the dynamics of three-dimensional vortex rings? What role do permutation symmetries play in the spreading of excitation waves on networks? Does the spiral wave chimera state really exist? All investigations combine a theoretical approach and experimental verification, which exploit an oscillatory chemical reaction. A novel experimental setup is developed that allows for studying networks with N > 1000 neuromorphic relaxation oscillators. It facilitates the free choice of network topology, coupling function as well as its strength, range and time delay, which can even be chosen as time-dependent. 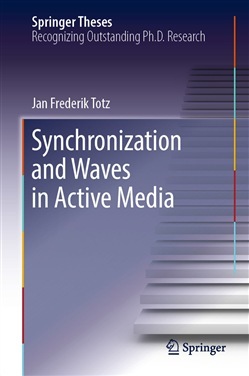 These experimental capabilities open the door to a broad range of future experimental inquiries into pattern formation and synchronization on large networks, which were previously out of reach. 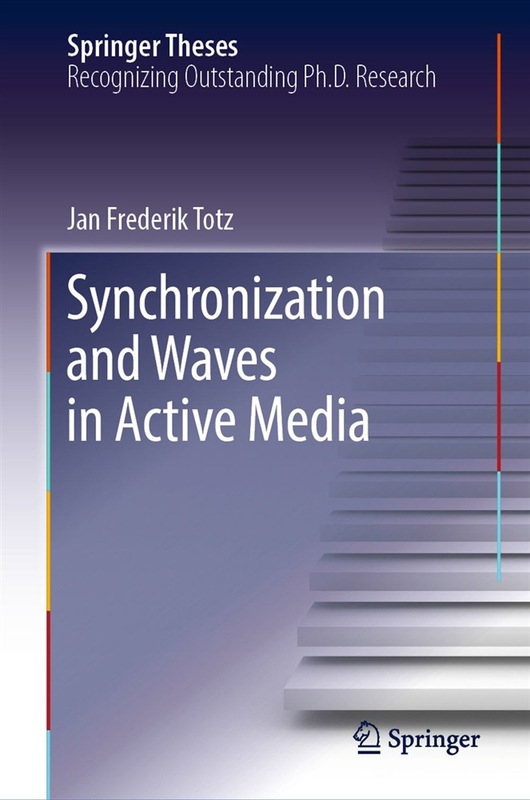 Acquista Synchronization and Waves in Active Media in Epub: dopo aver letto l’ebook Synchronization and Waves in Active Media di Jan Frederik Totz ti invitiamo a lasciarci una Recensione qui sotto: sarà utile agli utenti che non abbiano ancora letto questo libro e che vogliano avere delle opinioni altrui. L’opinione su di un libro è molto soggettiva e per questo leggere eventuali recensioni negative non ci dovrà frenare dall’acquisto, anzi dovrà spingerci ad acquistare il libro in fretta per poter dire la nostra ed eventualmente smentire quanto commentato da altri, contribuendo ad arricchire più possibile i commenti e dare sempre più spunti di confronto al pubblico online.